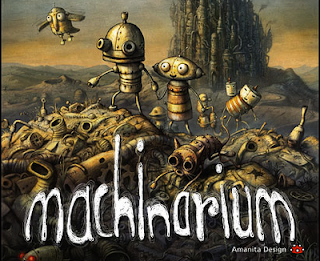 The US-based Entertainment Software Rating Board (ESRB) has just posted a listing for a PS Vita version of Amanita Design's gorgeous-looking adventure title Machinarium. Machinarium, which is already available on both iOS and Android, is a point-and-click game in which you take control of Josef - a clever little robot who must prevent the destruction of his city's towers by solving various puzzles and brainteasers. This puzzler doesn't feature any written or spoken dialogue whatsoever, so you have to rely on thought bubbles for important information and hints. Let us know if you will download Machinarium in the comments below!